Quite often, we have a situation where we would like to download/ upload pictures to/from our computer from WhatsApp. It could be a tedious and tricky process. WhatsApp allows you to access all the pictures and text directly on your computer. Just head to https://web.whatsapp.com on your computer. You will come across a 3D barcode. Now go to WhatsApp on your phone and select the menu (three dots) on the top-right and select WhatsApp Web. Now, point your phone camera to the 3D barcode on your computer. Once the code is scanned, you can access WhatsApp directly on your computer. Henceforth, all that you have on WhatsApp is accessible on your computer directly and all that you have on your computer can be copied/pasted on your WhatsApp! The most popular app for maps—Google Maps—now has estimated departure and arrival times built-in. What it means is that, if you are planning to leave by car, tomorrow at 11am to go to a certain destination, you will get an estimate of your arrival time today. Conversely, if you have to reach a certain destination at 3pm for a meeting next Thursday, you can get a prediction of when to leave, based on the traffic conditions normally found on that day of the week and time. Of course, it will not be able to predict any major incidents/ blockages that may actually occur on that day. 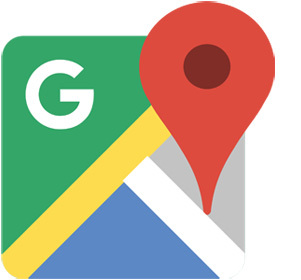 Once you select the departure and destination locations, the ‘set depart and arrive time’ option is available under the ‘menu’ icon (three dots) at the top-right corner of the Google Maps app. Now, plan your trips sensibly and always arrive in style, on time! The growing popularity of social media platforms, including WhatsApp, has led to an upsurge messages that go viral. While some messages are fun, many can be harmful. Many users simply forward any or all messages without even realising implications of doing so. The main reason for this is 'illiteracy' and this applies to both digital natives (young generation) and digital migrants (older people). “Social media might have originally promised liberation, but it proved an even more useful tool for stoking anger. The manipulation was so efficient and so lacking in transparency that the companies themselves barely noticed it was happening,” a report from The New York Times had said. Many users get easily fooled and keep forwarding messages just by reading the name and not even reading or understanding the link or web address in the message. For example, every month, someone forwards a message on WhatsApp about Amazon giving top-ranked mobile phone at dirt cheap rates or at a huge discount—of as much as 90%! The link may contain the word Amazon, but the domain is not owned by the ecommerce platform. People who create such messages are, often, found to collect a huge amount of personal data from users using a web page that looks like a replica of the original portal. A few months back, there was one message going viral on WhatsApp: Canon DSLR camera at just Rs199 against the normal price of over Rs30,000. Here is the link that was used in the viral message http://amazon.big-sales-offer.in. However, this website, which mimics Amazon design, is not owned by, or even distantly related with, the online platform. In this web address, the domain name is not ‘amazon.com’ or ‘amazon.in’, but big-sales-offer.in, which has now become inactive. However, when it was active, it must have collected a huge amount of personal data from gullible or ignorant users. In addition, the user was asked by the website to share the link with 10 of her contacts so that she can buy the product at ‘promised’ and cheap rates. Another message that instantly becomes viral is (morphed) photo or (re-edited) video of any famous personality, including politicians. However, before forwarding such message to everyone in your contact list, wait for a second and do a background check. It just takes a few seconds to do this. There are several free tools available that will tell you whether the photo or video you are about to forward is genuine and original or fake. Google offers reverse image search to verify photos or images. You can upload a photo to Google Images and, almost instantly, it will show you related images used on other websites and also different sizes of the same photo. For mobiles use https://reverse.photos/ for uploading and verifying the photo. In case of videos, you need to take a screenshot of the video and upload on these websites. For the Sherlock Holmes among us, there is one more useful tool that finds out every possible detail of a photograph. This tool is called ‘Jeffrey's Image Metadata Viewer’ and is available online at this URL http://exif.regex.info/exif.cgi. On this page, you can either share the URL of the photo or upload the photo. This tool shows the exact device from which the photo was clicked along with its orientation, date and time (for original and modified, if any), global positioning system (GPS) date and time, megapixels, lens used, colour mode and file format, among other technical details. Both these tools will clearly tell you whether the photo or video you had received on WhatsApp is genuine or morphed and, thus, may be fake. For videos, you can use free online exchangeable image file format (exif) viewers that reveals hidden metadata of the video or image. These exif viewers can also show meta information like codecs, video and audio streams in container formats like audio-video interleave (AVI) or MP4 (a file format created by the Moving Picture Experts Group -MPEG as a multimedia container) as well as location where the video was recorded. Use these tools and tips to safeguard yourself and others. Your small precaution can go a long way in protecting gullible users from frauds. Thanks a lot sir, for this article. Very well. Thanks for the info..